Introducing a witty and unique voice poised to take the literary world by storm. For fans of The Borrowers, Munmun and The Truckers. Everybody became a bit mean. A bit individual. Units. That's all humanity could say for itself - well, it couldn't actually, because it was made up of too many, um, units. And then there were the elderly, who could never bear to be so isolated, yet isolated they were. It was cruel, really it was. And kids - not that many people had them any more - they seemed to be born sitting in one of those egg-shaped chairs, only seeing what was right in front of them. So, the government asked a doctor, that famous one, to get a team together and figure it all out. He did. Everyone got a playmate. Well, everyone who wanted one, could buy a playmate. About a foot tall, they stood, naked (except in winter), very affectionate, not too intelligent. Mute, but cute - exactly what every home needs. Something to love, little units of love. The Biggerers is set in a dystopian future where our two heroes, Bonbon and Jinx, spend their days gathering stones and feathers for their basket, and waiting to be fed by their owners. But it's not long before getting sick, falling in love and wondering why they can't eat with a spoon pushes them to realise they are exactly the same as their owners...only smaller. 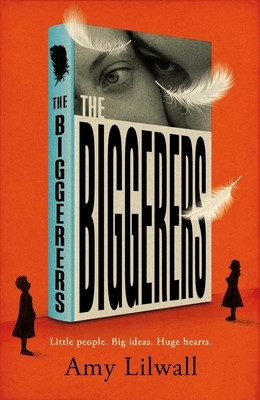 The Biggerers is set in a dystopian future where our two heroes, Bonbon and Jinx, spend their days gathering stones and feathers for their basket, and waiting to be fed by their owners. But it's not long before getting sick, falling in love and wondering why they can't eat with a spoon pushes them to realize they are exactly the same as their owners ... only smaller. After studying at Kent University, Amy Lilwall went onto a Master's in The Contemporary Novel and a PhD in Creative Writing. She lives in Falmouth, Cornwall.